How do you justify the price of a good blogger or content writer? 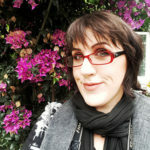 How do you justify the price of a good blogger? More people than ever before enter the world of business. With nothing more than an idea and a simple product, they’re living their lives according to their own terms. And that can be you. It should be you. But there’s something missing. How do you get that product or service in front of fresh eyes? You’ve been reading blogs for a while now. And you know that blogs themselves are a brilliant way to find leads, nurture relationships, and reward customers. 60% of marketers even state blogging is a high priority in their marketing strategy. But maybe blogging feels like nails on a chalk board to you. Writing isn’t your thing. And even if you can write about your topic, can you devote the time to it? Or learn how to write in the language of blogs? So you decide to hire someone else to do it. Sure, you could go to Upwork. Join in the race to the bottom in the search for some content – any content. Or you could go looking for a blogger. Maybe you’ll advertise for one. But they don’t come cheap. The good ones don’t work for free. So, among all of the other demands on your finances, how do you justify the price of a good blogger? You’re an expert in what you do. That’s why you set up your own business. Or founded a startup. So your time could be worth £200 an hour, or more, if you offer services. And even if you don’t charge hourly rates, chances are that your time is worth a great deal. Why would you take on blogging yourself when your time is so valuable? It takes me up to 2 hours to research, write, edit and format a blog post. And I don’t charge £200 an hour. Ask yourself – what could you be doing in those 2 hours instead? So if your time is worth more than a blogger will charge, it doesn’t take a genius to work out the maths. Because you’re not paying a blogger for content. You’re paying them for more time for yourself. Do you really want to learn how to do yet another thing you’re not interested in? You probably already know how much time goes into marketing. Maybe you’ve already dipped your toe into using banner ads. Perhaps you’ve spent time learning how to make social media graphics. But blogging is a different ball game entirely. It’s not just about knowing your topic, or the latest research. It’s about presenting those to your readers. If you’re not used to blogging, it can seem really daunting. But you can justify the price of a good blogger by handing the task over to them. Let them do what they do best – blogging. Ask yourself – do you really have time to learn something else you’re just not interested in? Wouldn’t it be easier to just hand it over to a specialist? And remember, bloggers can be multi-skilled. Look at the Canva blog. It’s a design school to help improve the abilities of its users. So you can find a blogger that can create product-specific tutorials for your blog. You’re reading an article by one such blogger right now! I’ve talked before about what your business would look like with better content. Blogs are a great way to provide value beyond what your services offers. So you can create relationships with potential customers and nurture those with existing customers. And it’s all on autopilot. After all, someone can get answers from your blog even when you’re offline. Look at Evernote as an example. Their blog doesn’t focus on company news. It provides value to users. Visitors can learn about productivity, goal setting, and staying organised. All topics that support Evernote’s core service. Remember that companies that blog generate 67% more leads than those who don’t. That’s because customers and clients come to recognise – and value – your brand with regular exposure. So ask yourself do you want to be in the 67% – or the 33%? 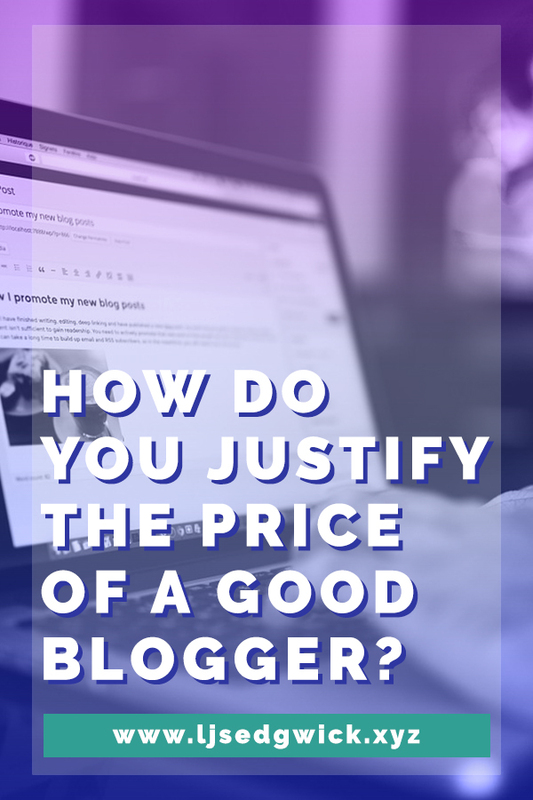 Can you now justify the price of a good blogger? If so, then drop me an email. I’m here to help you knock your blog out of the park.